Are there “good” times to buy? Of course your organizations financial situation often dictates when you can purchase BUT if you are flexible there are advantageous times to buy. If you are making a purchase of a full set of suits, your best time to purchase is in the “off” season. 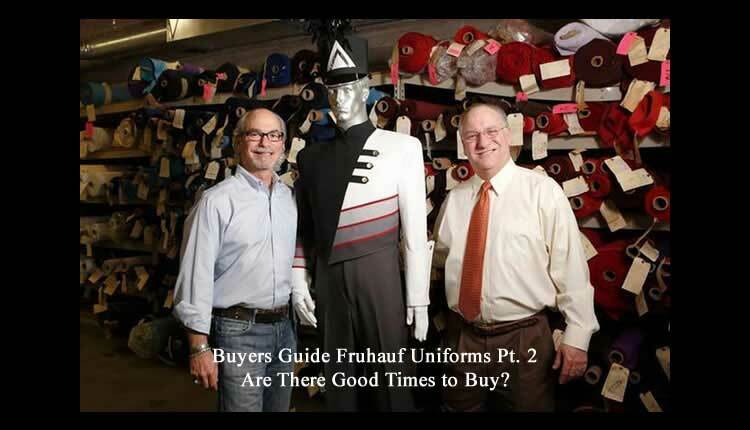 In the band uniform business the “off” season runs from mid- November through the end of February. If you place your order so that manufacturing will take place during our “off” season, you will reap the rewards. Another consideration is the timing of price increases. Since we are reactionary with our price increases (we increase our prices when our suppliers increase their prices), our increases usually take place around the first of the year. So to achieve the ultimate advantage for your order, you should time your schedule to allow for an order to be placed around the end of November. The least advantageous time to order is in the middle of the busy season – the first of April to the end of September. Sadly this is the time most schools must order, however if you can order in the “off” season it is to your advantage. When should I start my uniform project? How long will it take to make my uniforms?